Comment: A piece of siding came off in one area. In another area, the gutter is not sloped correctly and the water has damaged a door frame. Comment: I have a chimney that is currently sided in wood and a wood composite product, along with some cement board. The deck I have abuts the chimney and the deck is being replaced. I am anticipating that in the approximately 1 foot the chimney extended below the deck that there is likely some failure of the wood as it is about 29 years old. Rather than repair it again with new wood, I am considering having the chimney done in a vinyl product with a cedar shingle look. Comment: I would like to get an estimate for replacing stucco. Rochester Siding Contractors are rated 4.65 out of 5 based on 1,705 reviews of 28 pros. 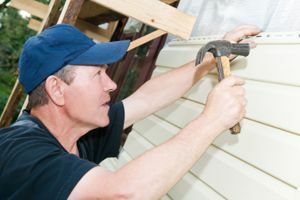 Not Looking for Siding Contractors in Rochester, MI?